Vital ICE is an In Case of Emergency App provided by Beck Memorial Home that can help save lives. Vital ICE is a mobile platform for users to list their vital health information, emergency contacts, and more. 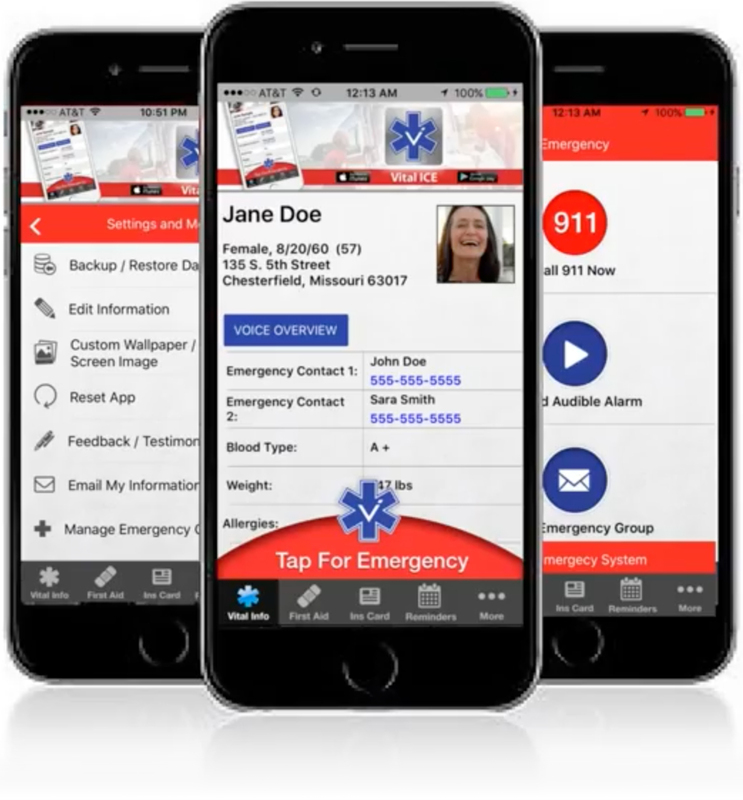 EMS and other first responders can access this App in emergencies. A robust database of your medical information, easily accessible by emergency first responders. First aid treatment protocol for 16 common emergencies, which provides assistance when EMS is not present. Dependent information, which provides EMS with additional family information in certain situations. The ability to call 911 and sound an audible alarm from within the App, saving first responders time in locating you. A function in which your medical information can be emailed to any email address, which can assist in communication with ER's. Access to important push notifications from participating EMS/FD, which can provide important local emergency instructions when needed. A process to backup/restore data to and from your Dropbox account, keeping data from having to be re-entered after upgrades. Text message sending capabilities that send to emergency contacts with your location on a map, alerting contacts that you have been involved in an emergency and to call 911. A custom wallpaper/lock screen image with vital health information overlay, saving time for first responders in locating your medical information. Photos of insurance cards to keep them handy for medical personnel. Reminders for scheduled medication, physician, and immunizations (recurring and one-time). Please download the app and enter our unique code #7283 to start using Vital ICE today!